Top 5 ways to spend your time waiting for the Lilac Parade to start. 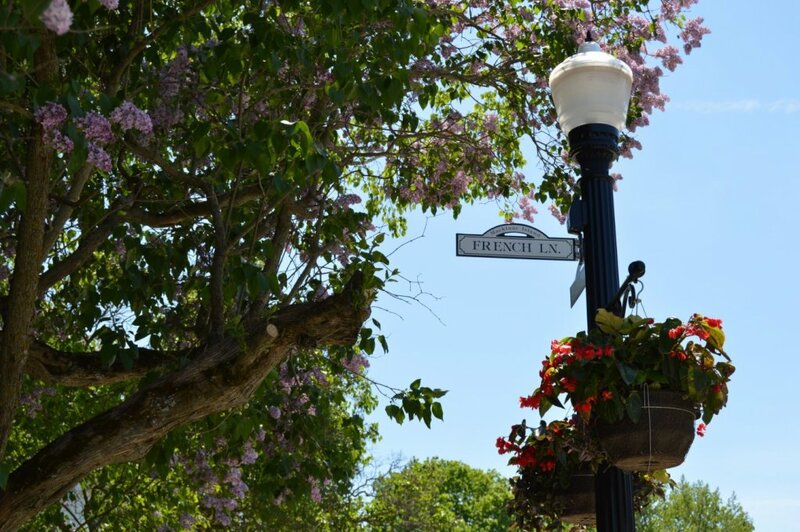 With Lilac Festival winding down this weekend, I thought I would take a minute and share some of the best kept secrets on the Island. Some places where you can go to escape the crowds, because that’s why we all go to the Island, right? To escape? On Sunday, when you are waiting for the parade to start, and you have chosen the perfect spot for viewing, take a few minutes or a few hours to explore some of the more tranquil sites on the Island. 5. Play a round of Executive Golf at Mission Point Resort. Not only will you be able to see the floats and bands line up for the start of the parade on the Mission Point lawn, you might also see a freighter pass by, all with the background of Lake Huron to putt by. 4. Rent or bring your bikes and ride around the Island to British Landing. This is the best place on the Island to dip your toes in Lake Huron. And it is far enough away from downtown that you feel like you are on a secluded beach. Sit for a while and listen to the waves lap against the pebbly shore. 3. 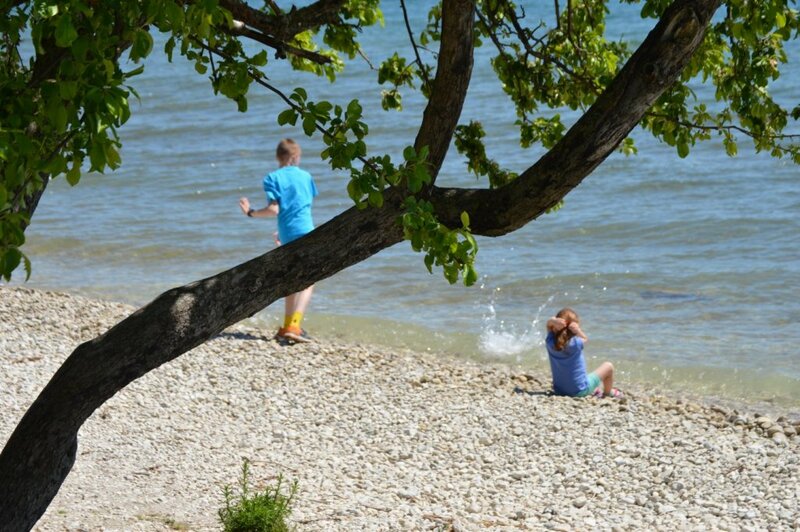 Skip rocks at any of the public shorelines. 2. 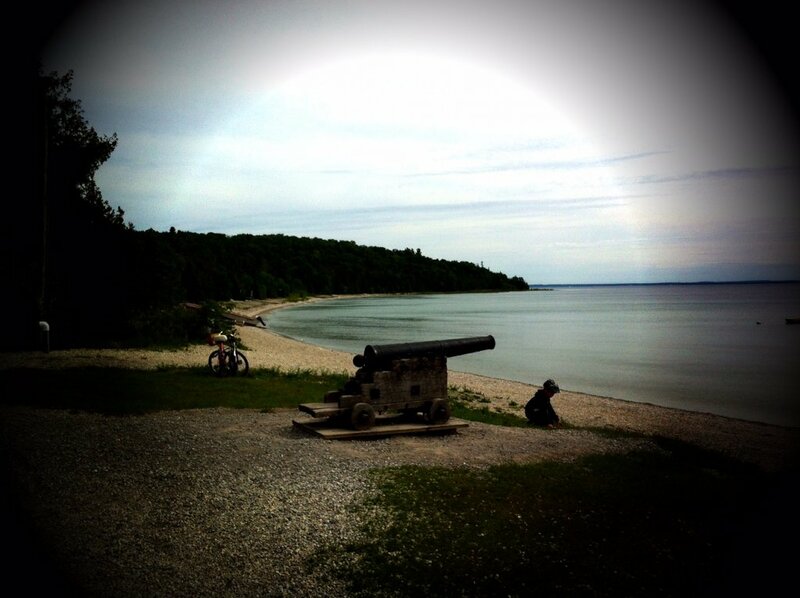 Take a hike to Fort Holmes. 1. Stroll to the Secret Garden. My favorite little known place to escape is on a tiny pedestrian street named French Lane. It is just one street down from the Shepler’s Dock. As you walk up the lilac-lined path, you will see a lavish burst of flowers behind a white picket fence. This is the Secret Garden. The homeowners at this cottage spend their entire summer taking care of their exotic flowers. I had the opportunity to speak with one of the owners last year, and complimented them on the garden. He said that it takes so much time, but it’s worth it to them to have their own piece of paradise. 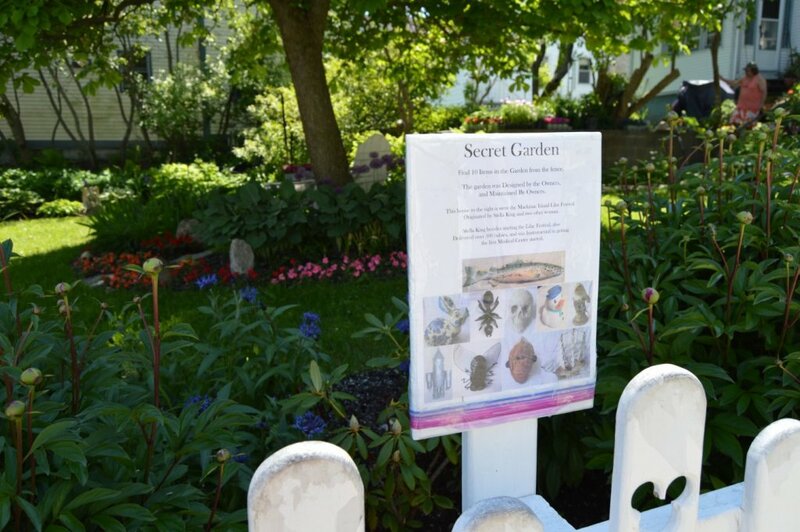 Every year, they put up a sign with items to find hidden in the garden. It’s a fun scavenger hunt, but the end result is that you stand there looking at the reds and purples and yellows and oranges of this little garden and you forget that the outside world exists. I think that is the real secret of this garden. Shhh…don’t tell anyone. 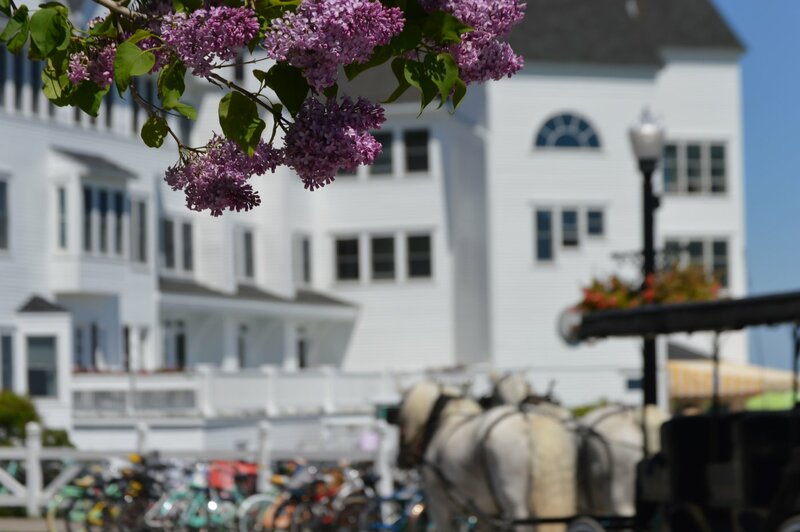 Whatever you decide to do with your free time while waiting for the Lilac Parade to start, be sure to savor every minute, because there’s no other place like Mackinac Island with all of its secrets to tell.